H.R. 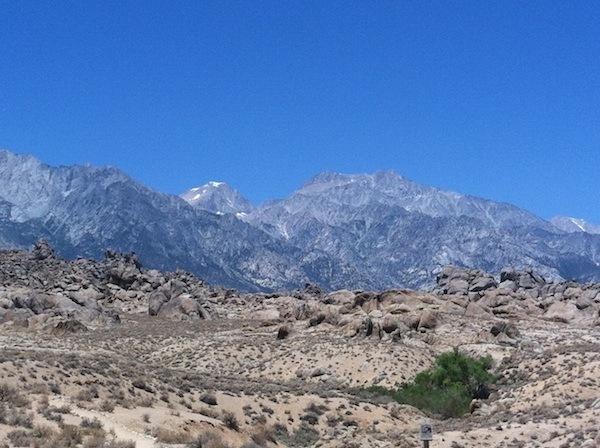 5573 has been introduced by Representative Cook (R-CA-8) in the U.S. House of Representatives to established the Alabama Hills National Scenic Area in Inyo County, California. The National Scenic Area will be approximately 18,610 acres. The purpose of the National Scenic Area is to conserve, protect, and enhance for the benefit, use, and enjoyment of present and future generations the resources of the National Scenic Area consistent with the principles of multiple use as defined in the Federal Land Policy and Management Act of 1976. Nothing in this act shall preclude the use of motorized vehicles on and off roads and trails designated for use by motorized vehicles, including but not limited to the use of mechanized equipment, helicopters, and/or other aerial vehicles or devices, as necessary or efficient for the performance of activities related to the operation, maintenance, expansion, and/or construction of any utility facilities, including lines, and/or rights of way. This bill was assigned to a congressional committee on September 18, 2014, which will consider it before possibly sending it on to the House or Senate.